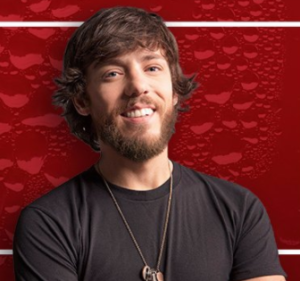 Chris Janson should have a hit on his hands with this one. One of the scariest things for an artist in country music has to be the fear of being a one hit wonder. I’m definitely not saying that will happen to Chris Janson. But he had to be thinking about it the last year or so. His big breakout came with Buy Me A Boat. Awesome song. the two followup singles were good. They just never quite caught on with radio or with fans. Holdin’ Her did reach the top 20. Nothing wrong with that at all. Now it looks like Chris has a new single from a new album. And this one I think is as close to a sure thing as you can get with a hit single. I like it. This one is definitely a little tongue in cheek. It takes on a few topics including politics. That’s a topic that will get just about everybody down in the dumps. Chris acknowledges that it frustrates him, but he doesn’t have the answer. It’s to the point where he knows he can’t fix a lot of things, but he still knows that he can fix a drink. We don’t all get along with each other. We don’t all have the same views. Maybe it’s time to stop worrying about fixing each other and just focusing on the things we do have in common. And for a lot of folks that is kicking back and enjoying all the good things we do have in this world. One would definitely be some good country music along with a good cold drink.